Come spend a week this summer celebrating music and community! Each day will be full of chamber music rehearsals, coachings, private lessons, masterclasses, community service, various workshops, and indoor/outdoor activities. If you love chamber music and would like to explore classical music as art, personal enjoyment, worship, and community building, Tutti Chamber Music is the place to be this summer! Tutti Chamber Music was conceptualized in 2017 by music conservatory graduates passionate about teaching, chamber music and the relevance of classical music today. "Tutti," meaning "all," represents the idea that coming together to make music with others strengthens the skills of the individual. Because we believe that music should transcend boundaries, this week-long camp has a comparably low tuition that seeks to draw in students from a myriad of backgrounds. After working hard to refine our craft, we will then perform for various communities. If you are willing to work incredibly hard and step out of your comfort zone, this will be a memory-filled week! 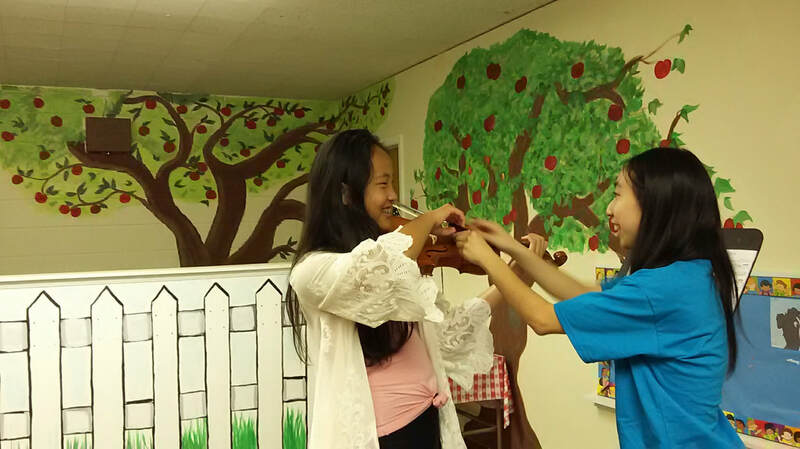 This program is open to violin, viola, cello, and piano students from the ages of 10-18. Many faculty members are Wheaton College Conservatory Alumni and events take place at College Church in Wheaton. "I think I have grown more as a leader." "My children just won't stop talking about Tutti! They had so much fun"
"My child is so much more motivated to practice and improve after Tutti!" We are a 501(c)3 non-profit organization and 100% of your now tax-deductible donations go towards our scholarship fund to help students attend Tutti.